This project will provide necessary upgrades at two vital and aged sanitary sewer pump stations. 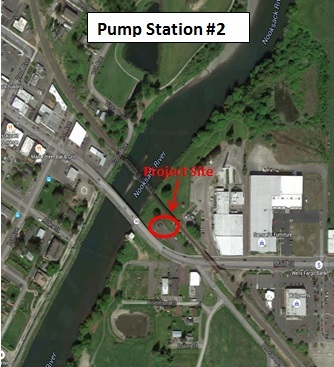 The first is Pump Station #2 located on Main Street, adjacent to the east bank of the Nooksack River. Work in this facility will include replacing the 12” sanitary sewer forced main, installing a new generator and new mechanical and electrical systems within the existing building, plus other improvements. 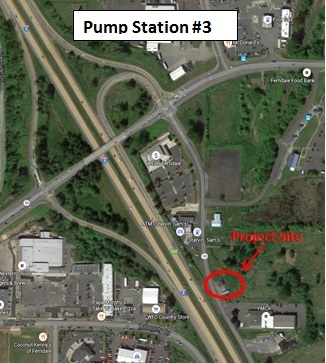 The second is Pump Station #3 located within the City right of way on Barrett Avenue, approximately 1/8 mile south of Main Street. Improvements to this facility will also include installation of a new generator and new mechanical and electrical systems within the existing building, plus other improvements. Note to bidders: Bids will only be accepted from Bidders who are listed on the planholders’ list. If you download plans and specifications from this website, please email StephanieHendrickson@cityofferndale.org or KatyRadder@cityofferndale.org to be added to the planholders’ list. Plans and specifications are also available for purchase ($100 per set, non-refundable).